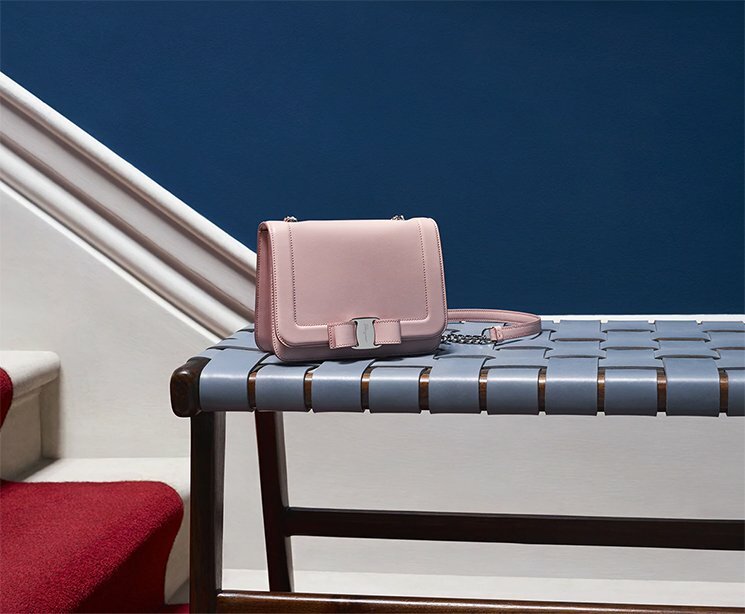 The Vara Bag is already a well-known handbag and it’s not so pricey. However, there is a new style available and it looks much more delicious. 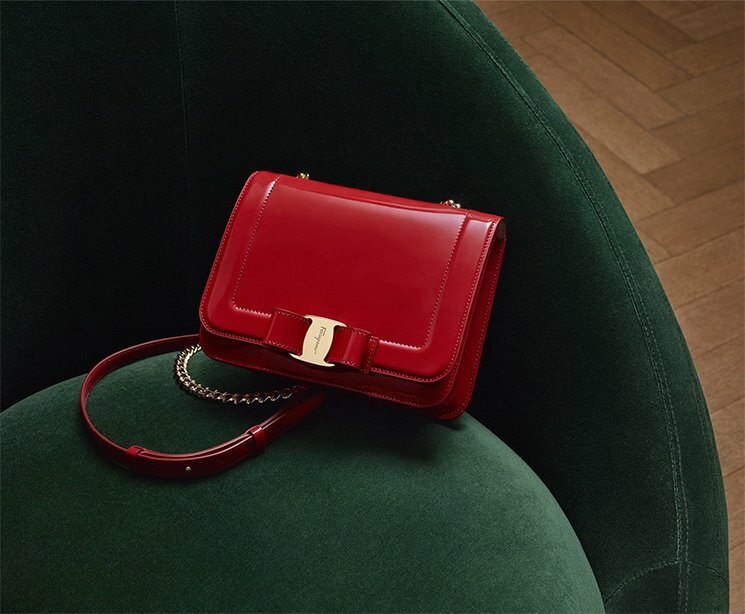 It’s called the Salvatore Ferragamo Vara Rainbow Bag and it’s released for the Fall Winter 2017 Collection. 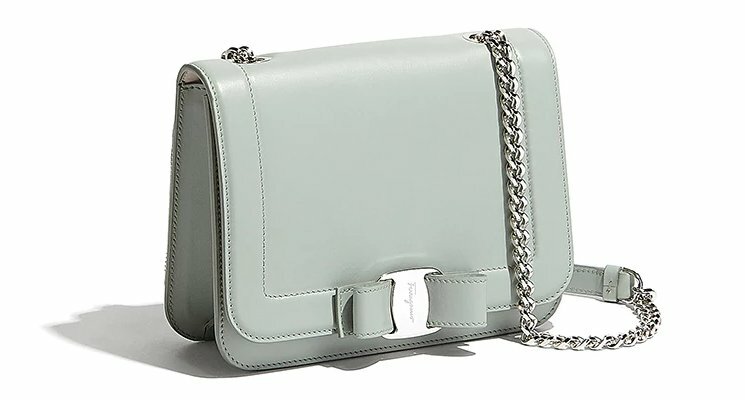 What I love about this bag is the pop of colors that you can choose. Let’s chat about that! 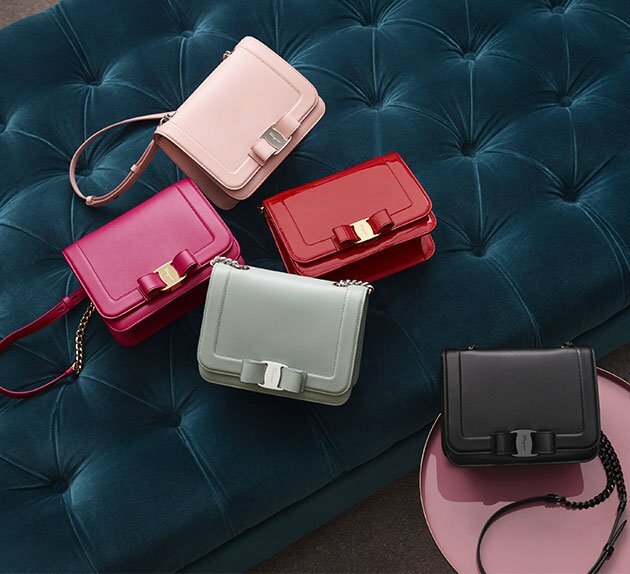 The new Ferragamo Vara Rainbow Bag is even more stylish and modern than the previous one. 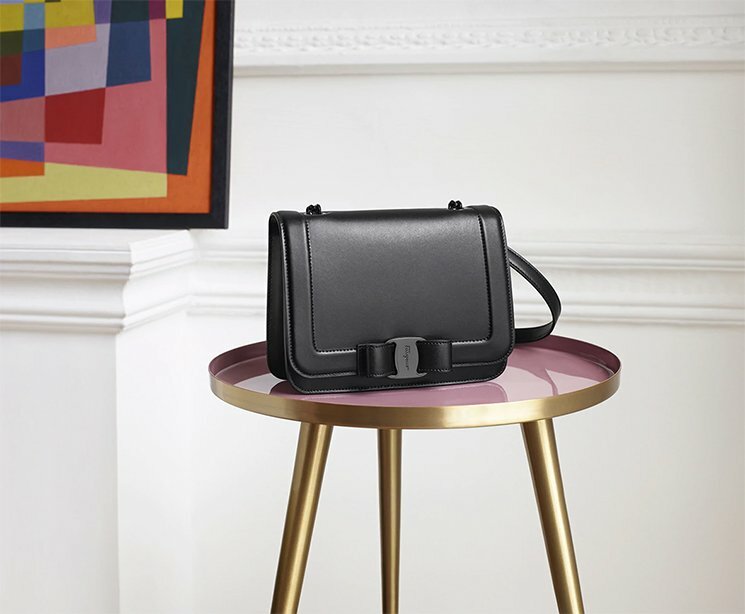 It’s designed with a squared and boxy-like shape (when you look at it from the front). It also features the signature Bow with the house’s signature marked on it. 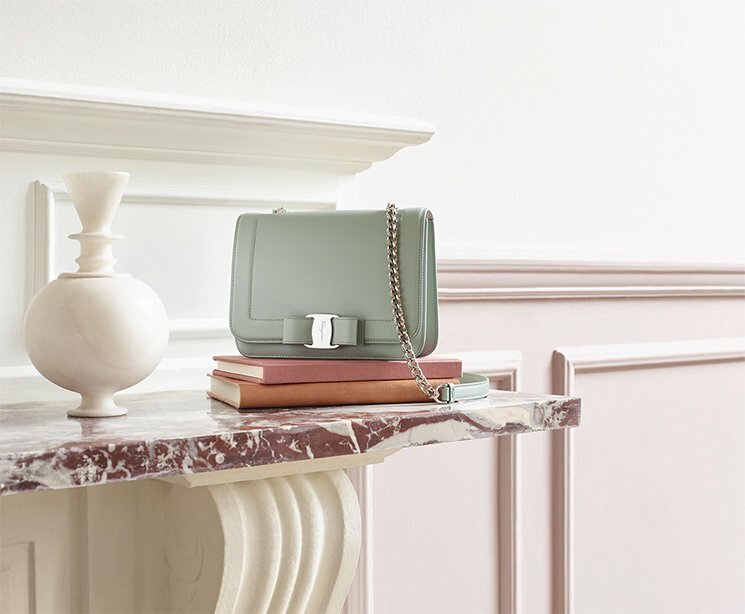 Unlike the older version, the Vara Rainbow Bag appears to be solid and it will definitely hold shape. 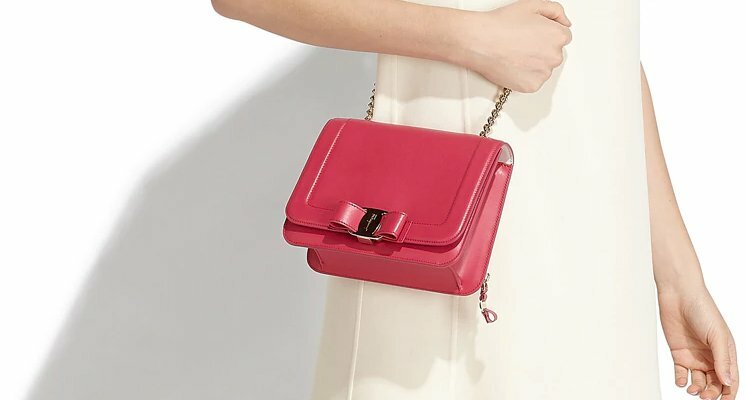 This is an adorable bag but a bit more expensive. 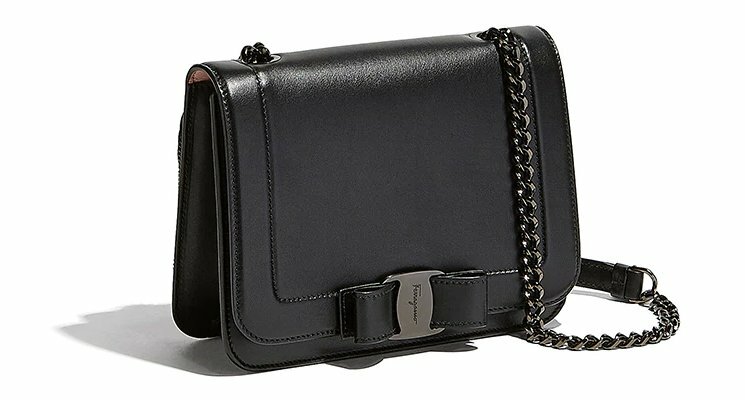 The chain strap can be used to carry the bag on your shoulder or even cross body. The chain can be adjusted to your comfort. The measurement is 20 – 22’ inch drop. What you will also love is the extra pocket on the backside. This pocket is not a patch pocket but its secured with a zipper. What is beautiful must also be practical. 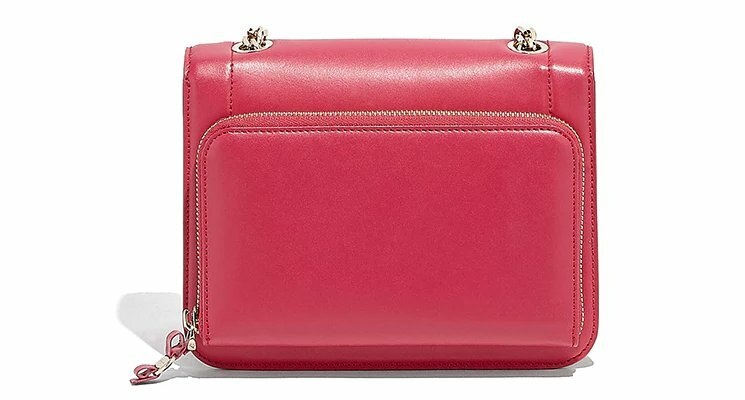 The interior of this bag is packed with useful pockets to help you organize your personal essentials. 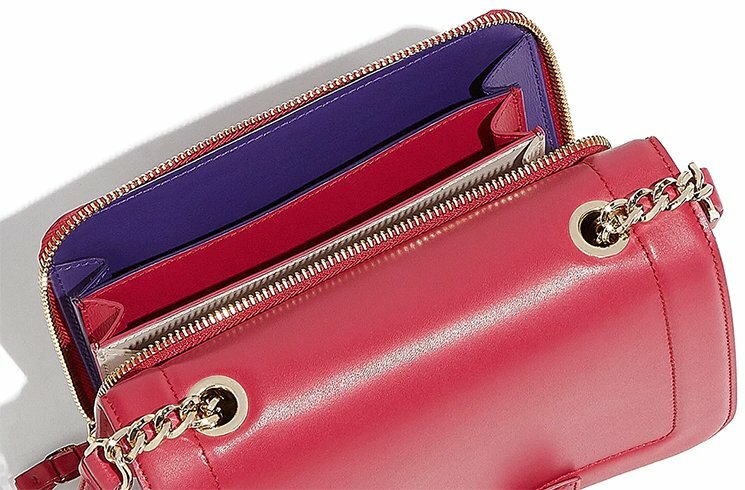 Inside you will find the main compartment for all your stuff, but also a zipped pocket to secure your important necessities. 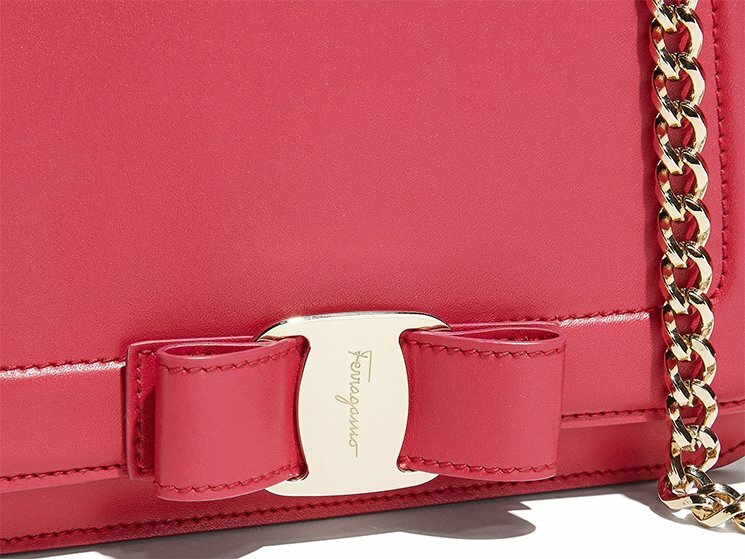 Measuring 15 x 20 x 13 (H x L x W) cm, priced at $1390 USD, €1090 euro, £975 GBP via Ferragamo boutiques. 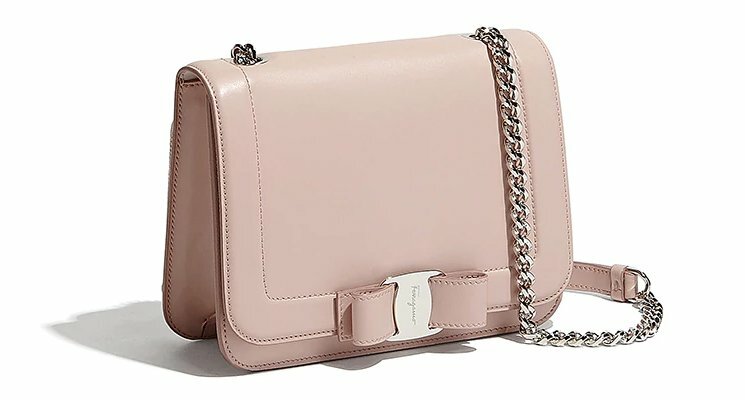 Where to shop Ferragamo Vara Rainbow Bag? 2. 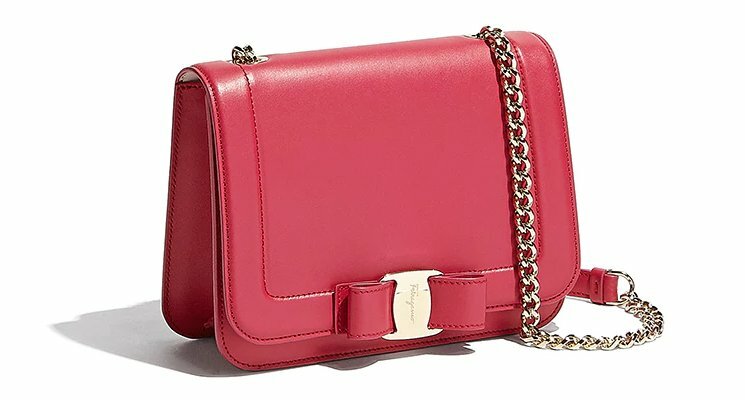 Farfetch – You can find a lot of Ferragamo Vara Bags here, also other styles. 3. Luisa Via Roma – More colors and variations of styles. 4. 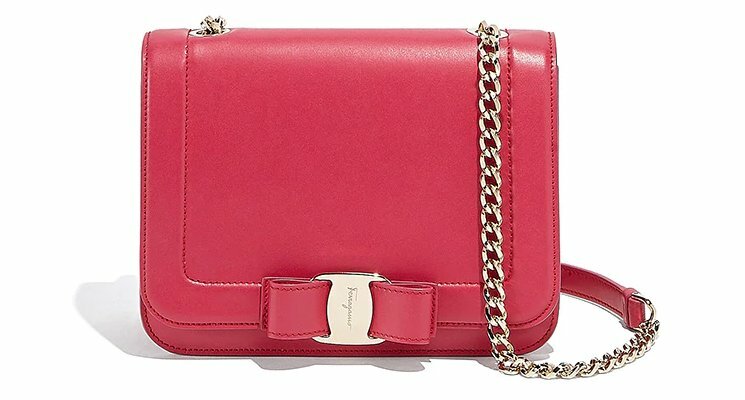 Salvatore Ferragamo – Find a lot of different Vara Bag styles here.